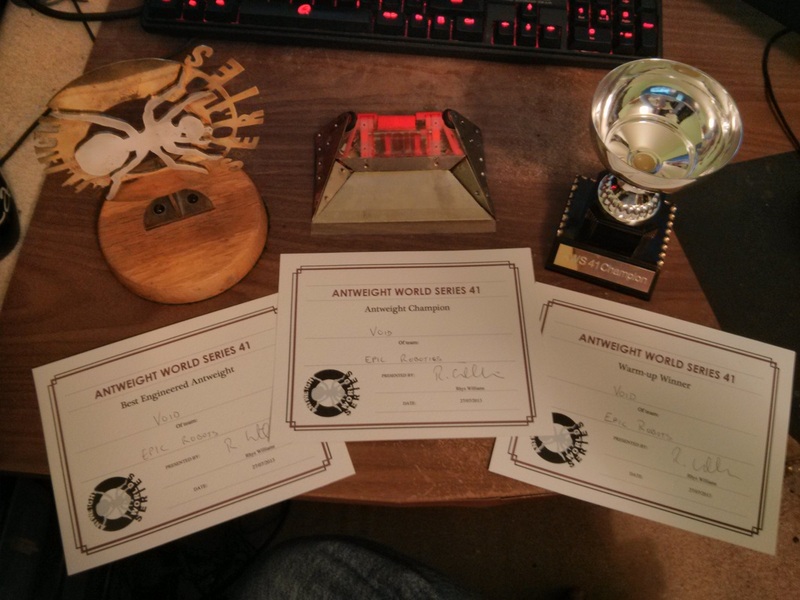 So after a bit of work, Joe Brown and I will be hosting Antweight World Series 56 in Bristol! Last edited by razerdave on Thu Aug 16, 2018 11:58 am, edited 1 time in total. Even tho I can't make it, I'm glad it got sorted out. Last edited by voorsk on Tue Aug 21, 2018 8:22 am, edited 1 time in total. Thanks very much for sorting this out guys! I should be able to make it! Team Beardy Bots: Last Minute, Set Myself on Firestorm, Almost Certainly Balanced, Yin and Yang. Hopefully going to make this one. Luckily I actually have a rare Saturday off work so have flung my name in the ring for this. First time actually fighting anything properly, cheekily entering with a Shakey built flipper so I know I have something that will actually work, and a beater of my own creation that is as likely to tear itself apart as it is the opponents! Signed up for this with two bots! If I find enough time to put together the third idea I have, I might enter that too. Looking forward to it! Yo robodudes and dudettes, just wanted to drop in to say I will unfortunately not be able to attend this AWS. I'm on holiday next week, and apart from wanting a rest when I get back, I've also not had time to get anything built recently. I'm trying to focus on getting my heavyweight done before the beginning of the heavy events next year, but will hopefully be able to knock ants together as well before the next AWS. Scott Fyfe-Jamieson, Captain of Epic Robotics. Champion of AWS38/41/42. I know people are away at beetles. But I hope you can post up the timetable soon. I assume it's a turn up around 9am. Just realized I hadn't signed up. I can no longer make it to AWS 56 . A mix of getting to Bristol and accommodation costing a fair bit and still fixing up my bots. Good luck to everyone taking part! Stil planning to be along but prob down to 1 or two bots. Had a lack of time and some printer issues. May have a new chap along to give ants a go as well. Have signed up, hopefully the robot will be finished. If not we'll still come along to see how it all works and learn what we can.